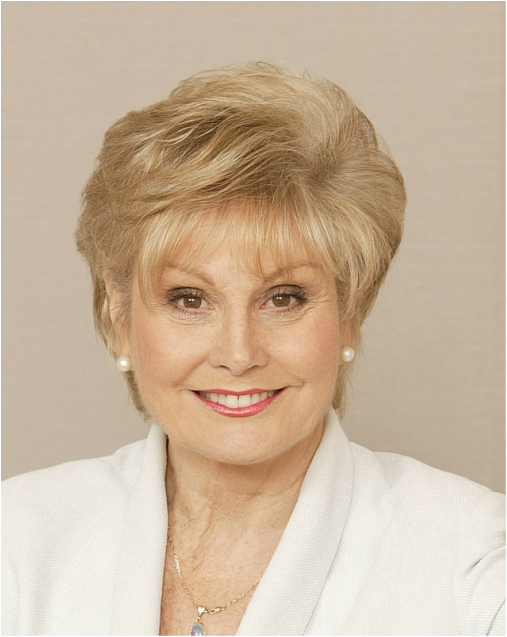 Angela Rippon's long running history in journalism give her an incredible amount of credibility and professionalism as a spokesperson. Being used to a camera and listeners makes her more than capable of getting her message across in a concise and entertaining way. If you're interested in a TV personality spokesperson for any radio or TV interviews please get in contact with us. Angela Mary Rippon OBE (born 12 October 1944) is an English television journalist, newsreader, writer and presenter. Rippon presented radio and television news programmes in South West England before moving to BBC One's Nine O'Clock News, becoming a regular presenter in 1975. She was the first female journalist permanently to present the BBC national television news. Rippon appeared on a Morecambe and Wise Christmas Show in 1976, presented the first two seasons of Top Gear and also presented Come Dancing. She was a presenter on, and co-founder of, breakfast television franchisee TV-am. In the 1990s, she moved to radio, presenting daily news programmes for LBC Newstalk between 1990 and 1994, and appeared on Channel 4's The Big Breakfast as a stand-in newsreader. Rippon has written fourteen books, toured with a production of Anything Goes and presented a segment of BBC One's The One Show. She was appointed an Officer of the Order of the British Empire in 2004. Since 2009, she has co-presented the BBC consumer show Rip Off Britain with Gloria Hunniford and Julia Somerville and since 2013, she has co-hosted Holiday Hit Squad on the BBC alongside Helen Skelton and Joe Crowley. Since 2014, she has co-hosted the ITV entertainment series Amazing Greys alongside Paddy McGuinness. After leaving school at 17, Rippon joined the photographic office of the Western Morning News and worked for the Sunday Independent, and later, BBC local radio and Westward Television as an editor.When she was 21, Rippon began her television career at BBC South West in Plymouth in 1966, before becoming a reporter for BBC TV news. Rippon first presented a national news programme on BBC2 in 1974. For a fortnight, she replaced newsreader Richard Baker – who was on holiday – on BBC One's Nine O'Clock News, and was offered a permanent newsreading role on that programme in 1975. Rippon was called by newspapers the first female television newsreader. However, ITN's Barbara Mandell predated her, having first appeared on the second night of ITV in 1955, Nan Winton was the first female BBC newsreader in 1960, and Mary Marquis had already been BBC Scotland's main newsreader for a few years. Rippon was the first female journalist to read the news regularly on national television. In an interview with The Guardian, she said: "You just become an automated autocue reader and if you've half a brain you want an opportunity to use it. When I read the Nine O'Clock News, I kept my brain active by working on programmes like Antiques Roadshow (which she briefly hosted in 1979), Top Gear and In the Country." Rippon was a guest in the 1976 Morecambe and Wise Christmas Show, first appearing behind a BBC newsdesk, then emerging to perform a high-kicking dance routine. Her appearance was so popular she made a cameo appearance in the following year's show, in which she was revealed to be one of a chorus line. Rippon later presented the long-running show Come Dancing.